PR40, Dynamic Microphone from Heil Sound. AlanForPresident's review"sounded good in the studio.."
The Heil Sound PR 40 really opened my eyes while I was using. Immediately after I was in the studio and heard it I went home and started to look into how much that it cost to have one here at my house. I just had to get my hands on one of them and I was willing to almost trade in so much of my gear to have one. It was being used for a singers vocals in the studio and it sounded amazing, though I never did purchase one at home. There was a female singer and songwriter that I have worked with on several occasions who purchased this mic after I told her about it, so she invested the money into it and I was able to use it a few times. Now one thing that disappointed me is that it didn’t sound as good at home as it did in the actual studio. This could be attributed to no acoustic treatment in the room and in the studio they could have been using some type of compressor or some real time effects to spice it up a bit. Because while using it at her house the audio sounded extremely thin to me. Almost to the point where I think she purchased the wrong mic so I started to look at the box and stuff to make sure she got the right one. The thin sound is something that I can stand, your voice does not naturally sound thin so why does this mic make it sound thin. So I will have to credit it to the room not being treated right, though she does still use this mic and probably will for a while, I am still a little confused on why the final recording came out like they. Even after adding some slight vocal reverb and boosting frequencies it just doesn’t sound natural. So im not sure, I wont purchase this mic though because of that experience, I don’t want to invest the money and be un happy. 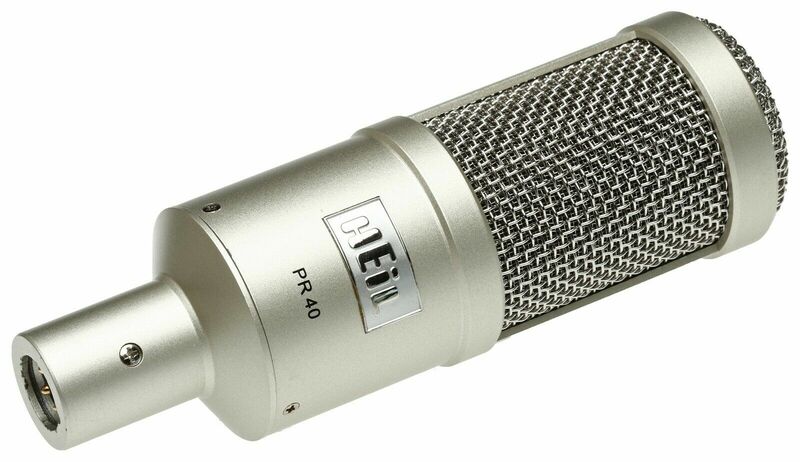 The Heil Sound PR40 is a uniquely designed dynamic microphone that I've used in the recording studio. I've only got experience using in within this type of setting, so I don't know that I'd recommend using it for anything else. As far as the technical aspects of the PR40 go, it has a cardioid polar pick up pattern and will pick up frequencies in the range from 28 Hz to 18 kHz. For a microphone on the cheaper end, this definitely doesn't have as cheap of a feel to it as you would think it might. 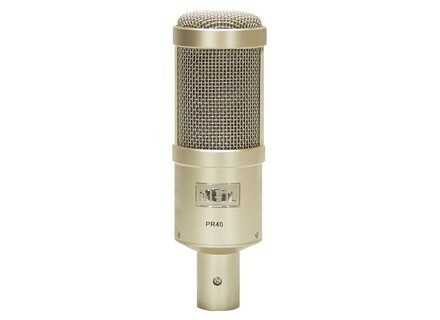 For this price, the Heil Sound PR40 is one of the best microphones out there. It's a versatile microphone that is capable of handling just about any application, although I've primarily used it for recording a bass guitar cabinet. We've got one of these at the studio where I work and it's probably the least expensive microphone that get used, besides a Shure SM57. It sees most of it's action for scratch vocals or for a bass guitar cabinet, as it picks up frequencies all the way down starting at 28 Hz. I love it's design as it looks like a condenser microphone but is actually a dynamic one. Being that it's in the professional recording studio that I work at, it's one of the rare microphone that crosses over in that it's suitable for use in a professional recording studio setting, but is cheap enough that any home studio owner could afford one. I'm not sure that it's the perfect all purpose microphone in the studio, but it would certainly get the job done. This is definitely the best sounding Heil Sound microphone that I've used. If you're in the market for a some bang for your buck in a unique dynamic mic, the PR40 is a very nice sounding microphone for an even nicer sounding price. moustick's review (This content has been automatically translated from French)" Micro Excelent"
Dynamic microphone, the frequency range it returns is very wide (28 Hz to 18 kHz on paper) and a max cash (up to 148 db). The microphone is very heavy, manufacturing is very serious ... well it's all good! This mic can do everything ... From the voice making the big catch or cash is great through the amp bass guitar or taken! If I had to find an equivalent in known brand, I would compare easily to EV RE-20. This microphone is to do everything and rather well ... I had the opportunity to do with taking a bass and he gave me satisfaction ... I even so I was surprised a comparative trial with the RE-20 ... it's not very different but just as good! Really a super micro, I recommend!